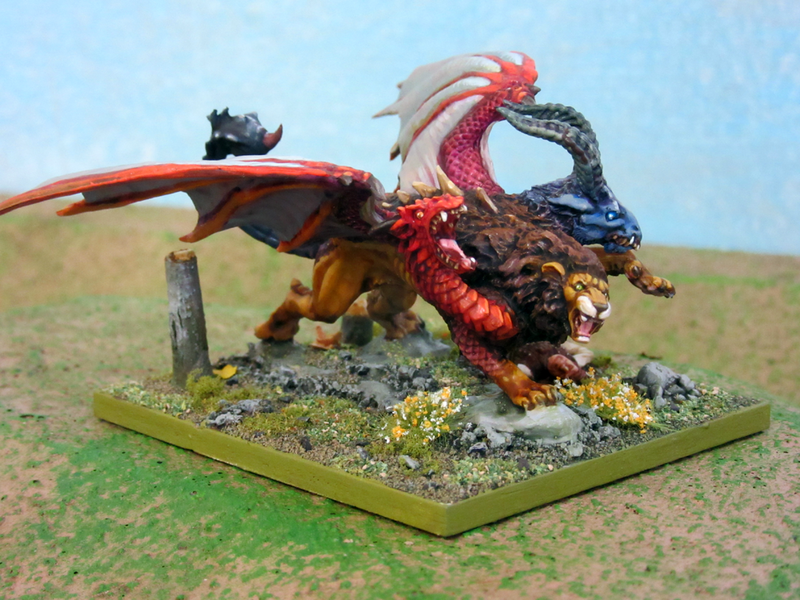 Painting and wargaming with miniatures is one of my main hobbies. I’ve recently finished some minis that represent the start of a Forces of Nature army for Kings of War. 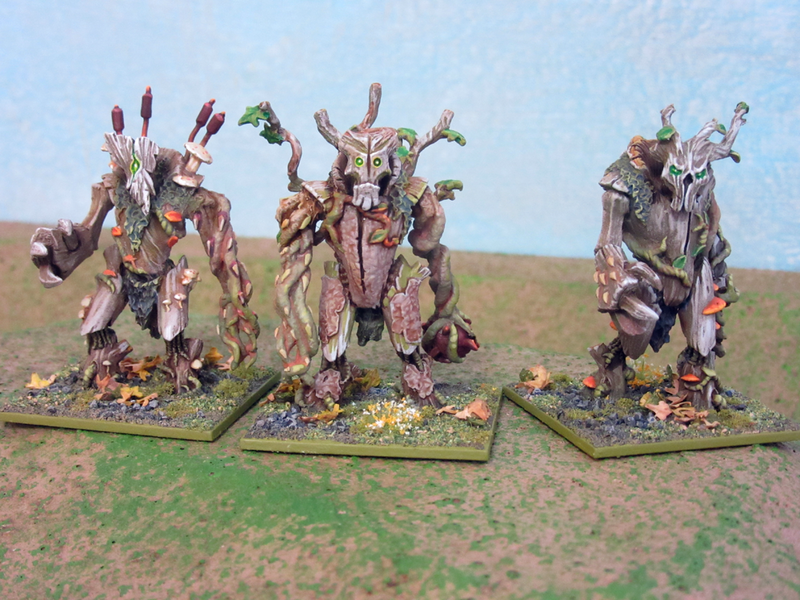 First off are these Forest Shamblers from Mantic Games. These come as a set of 3 with interchangeable heads and arms. Lots of nice detail in this kit, with leaves, vines, thorns, moss, shelf fungus, mushrooms, cattails, and the like growing out of these guys. 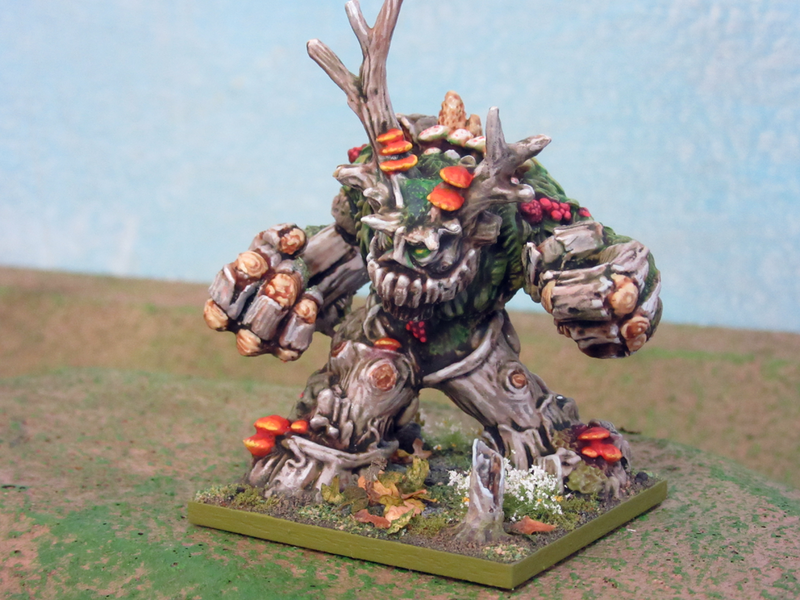 In addition, I’ve re-painted and re-based 6 plant-themed D&D minis to bulk out my Forest Shambler units. Combined with the 3 Mantic minis above, I can make one regiment and one horde, or 3 regiments. Next up is a hero for the army, a Forest Warden. 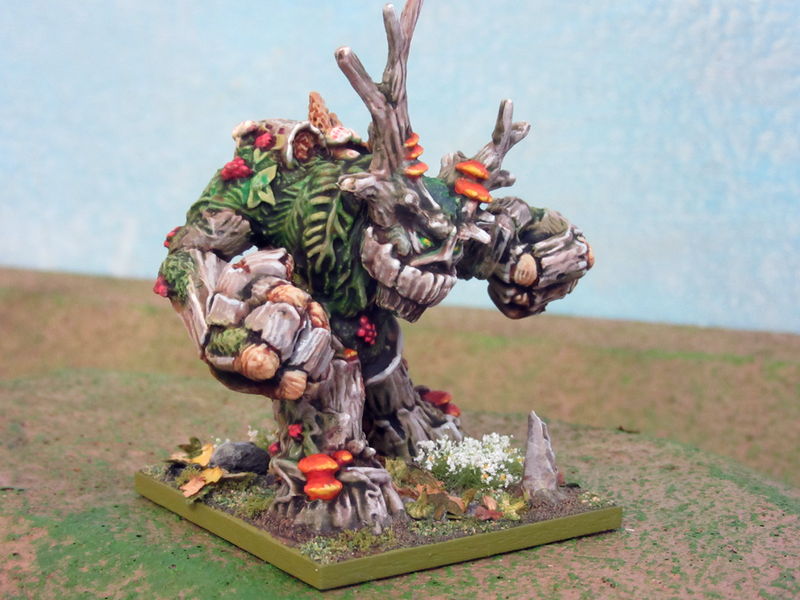 To represent this solo bruiser, I picked a Spirit of the Forest miniature from the Reaper Bones line, sculpted by the great Jason Wiebe. I had to bump his base size up from 40mm to 50mm to accommodate the model. 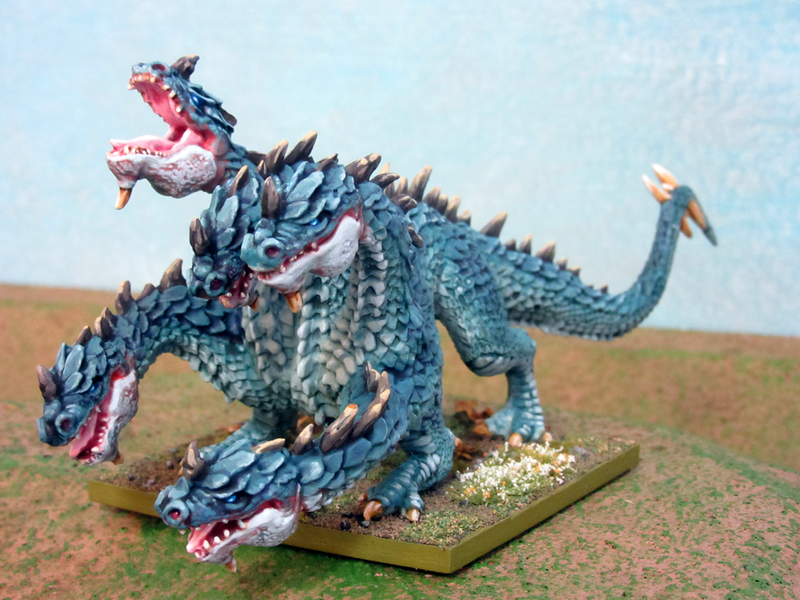 Finally, a couple of monsters, a Chimera and Hydra also from the Reaper Bones collection. 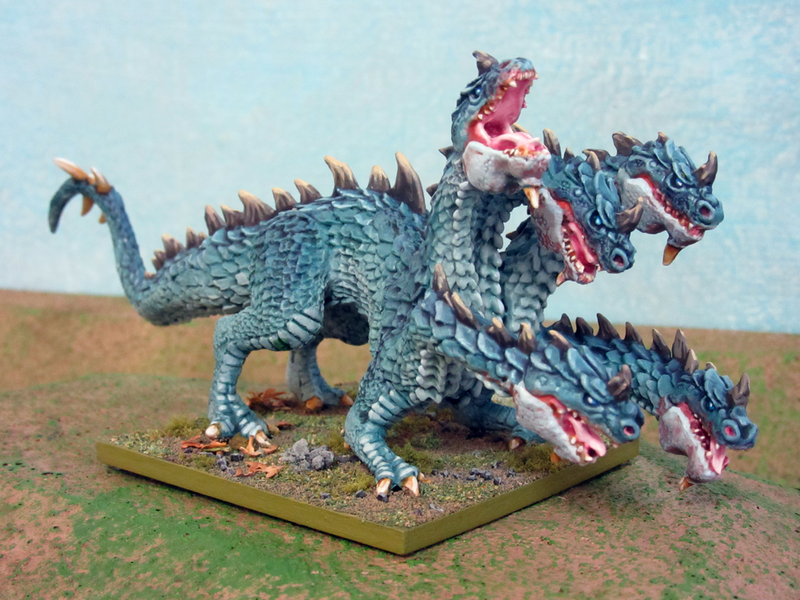 Bones monsters really lend themselves to a bold, tabletop-quality painting style so that’s what I’ve gone for here. Next on the painting table for this army are a couple of units of Hunters of the Wild, a Tree Herder, a couple of unicorns, and a pegasus. Really great job on the hydra! Kudos!